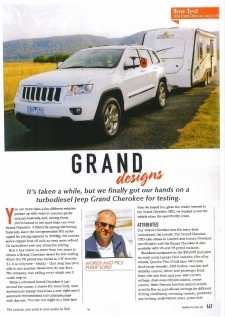 Deeson RV used in tow test for Jeep Grand Cherokee. See more details in Septembers issue of Caravan World. Come along to the Sydney Caravan Show to get a look at the Deeson RV Alpine Forest. We'll be located on Site 57. Take the opportunity to ask us questions and experience the vans for yourself. It'll be a great day out!